This article by Shereen Ali appeared in Trinidad and Tobago’s Guardian. 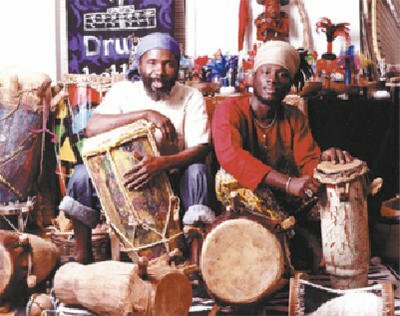 One of the most moving aspects of Caribbean culture is its music. And this music is richly diverse, with Cuba and Haiti being especially vibrant in music genres and styles. Santeria drumming, rumba, son, salsa, mambo, Afro-Cuban jazz and classical music rub shoulders with contemporary hip hop-salsa-rock fusions and many other eclectic contemporary mixes in Cuba; Haiti has its carnival rara music, compas dance music, voudoun music, rap, ragga, hip hop kewyol, and many more; you can find merengue and bachata in the Dominican Republic; dance to calypso, soca, rapso, tassa, pan and chutney music in Trinidad; and enjoy kumina, ska, reggae, ragga, and dancehall in Jamaica. And that’s just grazing the surface. So amidst this musical feast, what music industry lessons can we learn from our Caribbean neighbours?